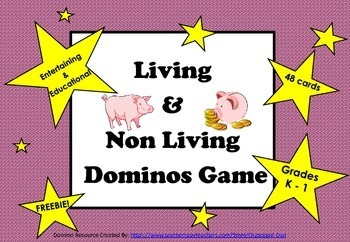 Living & Non Living Domino Game - FREEBIE!!! 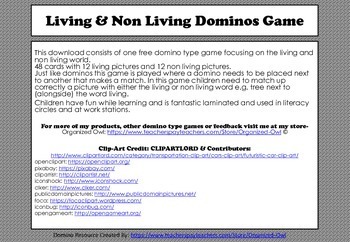 This download consists of one free domino type game focusing on the living and non living world. 48 cards with 12 living pictures and 12 non living pictures. Just like dominoes this game is played where a domino needs to be placed next to another that makes a match. 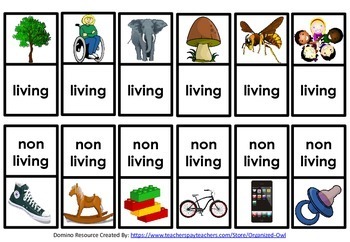 In this game children need to match up correctly a picture with either the living or non living word e.g. tree next to (alongside) the word living. 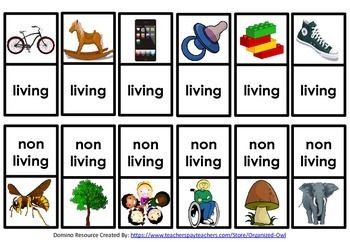 Children have fun while learning and is fantastic laminated and used in literacy circles and at work stations.